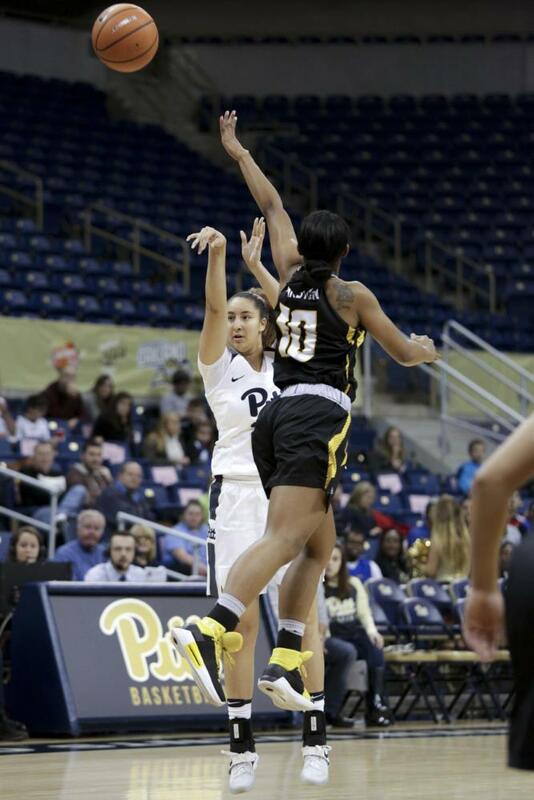 Despite an outstanding three-point shooting performance from first-year guard Pika Rodriguez, the Pitt women’s basketball team fell to Virginia (8-6 overall, 1-0 ACC), 62-50, Thursday night in its first ACC game of the season. Rodriguez made five of her eight three-point shot attempts, but it wasn’t enough to overcome the Pitt’s 38-22 halftime deficit. The loss brought the Panthers’ season record to 7-6. After redshirt junior forward Yacine Diop scored the first basket of the game, the Panthers went on a eight-minute scoring drought. By the time sophomore guard Jasmine Whitney made a free throw with 1:30 left in the first quarter, Virginia led 15-3. The Panthers continued to struggle in the second quarter, shooting five of 14 from the field while getting outscored 21-14. Virginia carried a sixteen-point lead into halftime, essentially putting the game out of reach for Pitt. Rodriguez did all she good to keep Pitt in the game, knocking down three of her five threes in the second half. The Panthers chipped away at the deficit and pulled within eight points after a layup by Kyla Nelson. The Panthers came up short, though, and left with a 62-50 loss. The women’s team now sits at a record of 7-6 overall, and 0-1 in the ACC. Pitt will take on Chicago State at home on New Year’s Eve, with an early afternoon tipoff of 1 p.m.